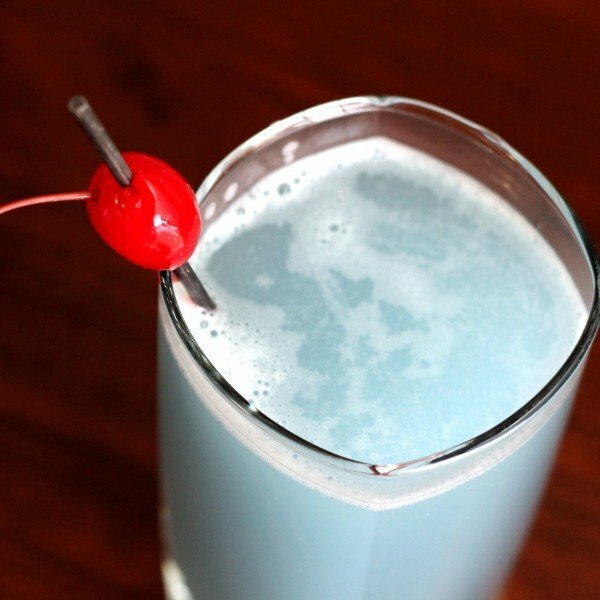 The China Blue gets its color like so many blue drinks – from blue curacao. But it gets a very special flavor from the lychee liqueur. The taste of lychee is sweet and slightly flowery and rather delicate. This contrasts beautifully with the tartness of the grapefruit juice and the sweet-tart of the orange from the curacao. 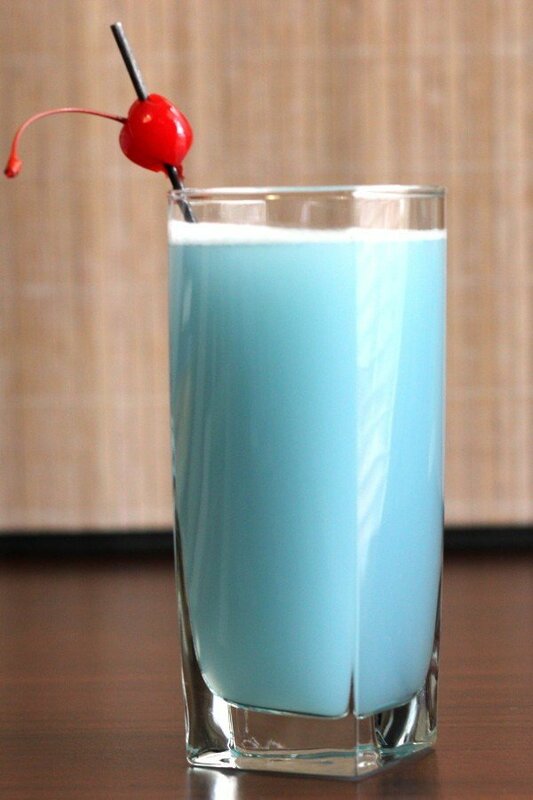 This makes the China Blue a slightly sweet cocktail with a hint of something flowery. With four ounces of fruit juice and two ounces of lower proof liqueurs, it’s not a very strong drink. If the flavor suits, you can actually have it with brunch. Lychee liqueur can be hard to find, and may need to be special ordered from a local liquor store or ordered by you online. But if you can get a hold of it, it’s well worth exploring. Fill a collins glass most of the way up with ice. Pour in the ingredients and stir gently (you don’t want to “bruise” the alcohol by shaking this one). Garnish with a cherry, or a grapefruit, lemon or lime wedge.